Based on the Oscar-winning DreamWorks film, Shrek The Musical is a musical fairy tale adventure about a lovable ogre, a wisecracking donkey, and a feisty princess. Performed under the stars by a big cast and live professional orchestra. Come early and enjoy a hike on the hillside trails, beautiful bay views, and picnic with your family or sweetheart. 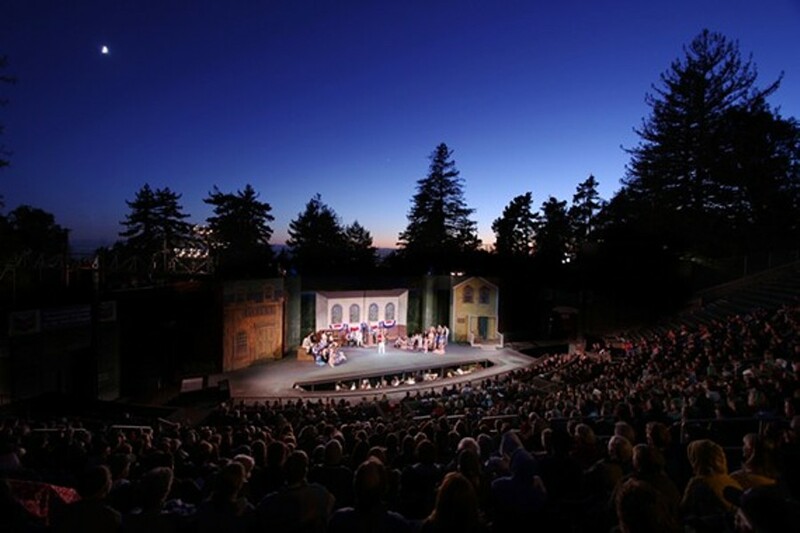 Shrek opens the 50th season of the Woodminster Summer Musicals, Oakland's "good old summertime" experience, a treat for all ages.